Tony can run a sub-6 minute beer mile, and his record is nine (!!!) different Tap Trail stamps in one evening. He is on a strict nocturnal brew schedule, can (and will) crush a hot dog faster than Joey Chestnut, and has never suffered a brain freeze he couldn't power through. Tony is the kind of dreamer who can never resist throwing pennies into fountains, and while he isn't fully convinced Nadine is from South Africa, he has learned not to push it. Tony thought the movie Pineapple Express was an extended episode of Cops and likes it better that way. Yes, it's true: Brewers make the best skaters. One time, Jack was stuck in the middle of a class-3 tornado... But his hair stayed perfect. While Jack scorned Pokemon throughout his childhood and transformative young adult years, he still collects Magic cards. In college, Jack became well-known (and debatably well-liked) for pouring Gatorade on classmates after finishing big tests. He wears jorts in the summer, visors in the rain, and if you catch him in the right mood he can rap the lyrics to Tupac's "Changes" (clean version only, though). Defying physics, Jack *swears* he can lick his elbow. He also *swears* he had a mustache for a week in Junior High. 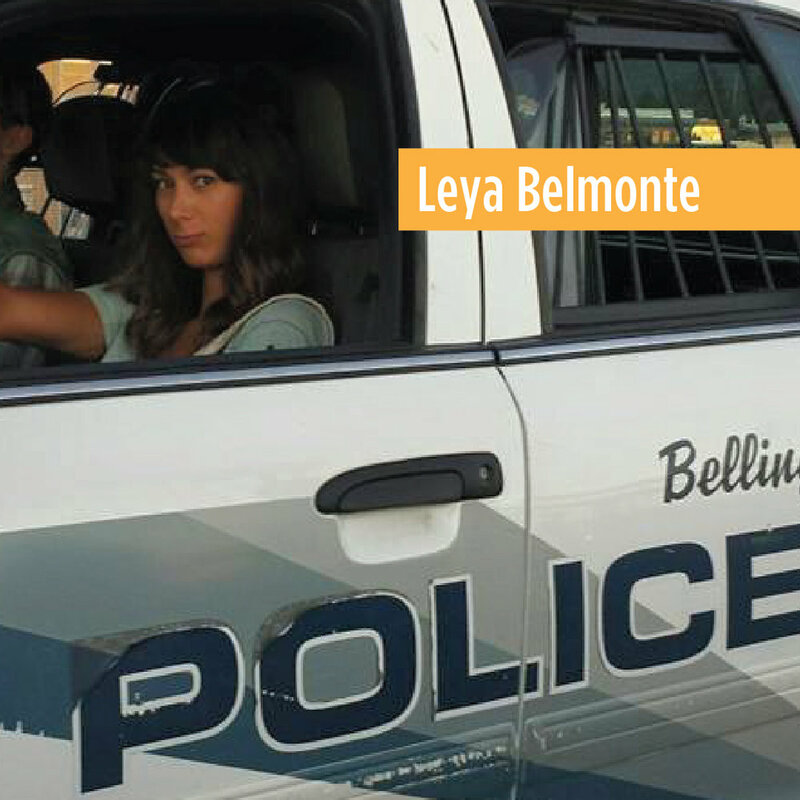 Leya once beat Kevin Bacon in a dance-off. She was an initial investor in Facebook, but lost her shares in a high-risk-high-reward game of Connect Four. Leya was an extra in 2 Fast 2 Furious, but bailed on Tokyo Drift (for obvious quality reasons). She was a studio apprentice for Bob Ross in the early 90's, and got her first tattoo at a preseason Raiders game against the Chiefs. She is not happy they are moving to Vegas. Fulfilling her obligations as Crayola-sponsored ambassador and artist, Leya is currently on the road touring Scholastic Book Fairs across the country. Tim is the only person we know who has ripped multiple pairs of jeans in the lower leg section because of his biker calves. He has a habit of yelling 'BOOYAH I WIN!' after pouring a perfect beer when the tap lines are acting foamy, and will ruthlessly (and very impressively) finish a customer's crossword puzzle if they dare leave it on the bar unattended. Tim is actually not a fan of any of the Lethal Weapon movies, but he understands that he has a reputation to protect with the neighbor kids, and so he routinely says "I'm too old for this sh*t" before doing something really freaking cool. Meet Meagan: "Meag" for short, or the 'Raging Cajun', she believes Kombucha is for hangovers, not enjoyment. Meagan is the one who, as a young child in a random UK coffee shop, convinced JK Rowling to use messenger owls (instead of carrier pigeons) in the Harry Potter series. Meagan can jump rope for over 4 hours straight, which is indicative of her being drafted 113th in the 2011 WNBA draft. She has been saving her winnings from local pinball tournaments to buy a waterbed, and while Snoop Dogg (pre-Snoop Lion era) is her spirit animal, Meagan still considers polos "in." Brian can never win at cribbage, and can't decide if fish tacos are sea food or Mexican cuisine. His Girl Scout cookie of choice is the plain 'ol Trefoil and you better believe he can beat-box that Sheryl Crow song in the heartbreaking puppy adoption commercials. In a cruel twist of fate, Brian actually jumped off the Cubs bandwagon the year before they finally won it all - go figure, right? He also had three extra teeth as a child. Brian once met Steve Carell but confused him for Ricky Gervais and yes, ladies, that photo of Brian is the same one as his Tinder profile, give him a chance, will ya? Having been raised on an apple orchard since birth, the largest city Holly had ever been to was Camas, WA. before she moved up to Bellingham. She was also able to completely rebuild a 1989 Toyota Land Cruiser engine by her sixteenth birthday, but still curiously gets nervous when changing a keg in the cooler. Holly told everyone in her middle school that she had a bit-part role in the movie 'Because of Winn Dixie,' but a quick IMDB search comes up disappointingly empty. She routinely wears lifts in her shoes to seem taller than Meagan, but Meag doesn't know that and we don't need any more drama. The only kid in his 5th grade class to be taller than the teacher, Duncan grew up touring with the Seattle Ballet Company as a young prodigy before injuries destroyed his career. You can often find him utilizing his old pirouette techniques as he races through the U-Pick Blueberry farms every harvest season, never dropping a berry from his basket. Graduated from Fosters Brewing Academy in Australia before moving to a place less dangerous than the Outback. Never one to shy away from an argument, Duncan moonlights as a judge in the local high school debate club circuit, often times stating both arguments invalid and declaring himself the winner. 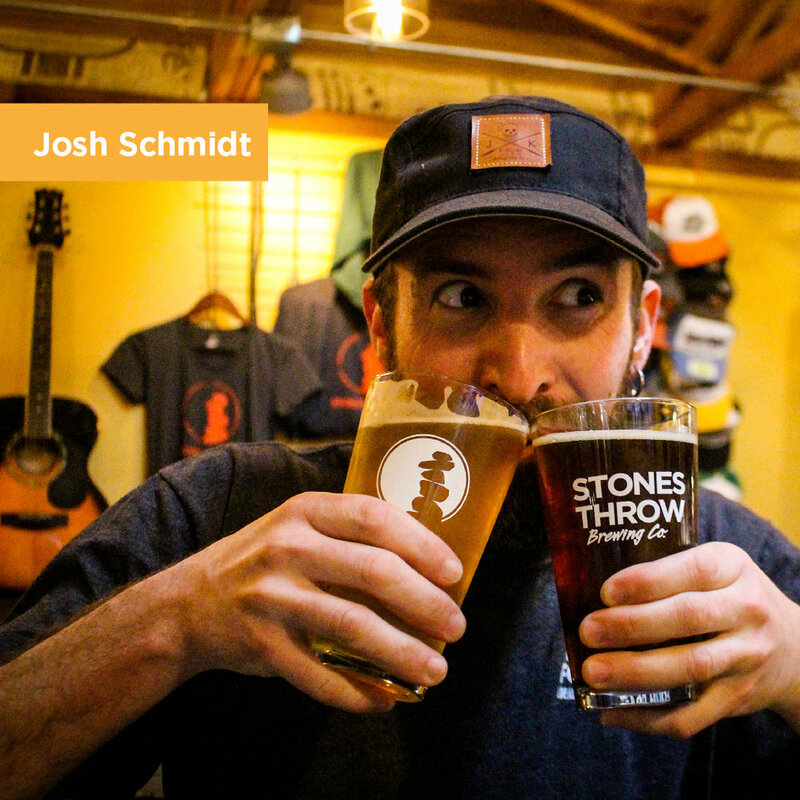 A former brand ambassador for Volcom Skate Clothing, Josh is a three-time Demolition Derby finalist at the Evergreen Speedway and a notoriously short-tempered checkers player. When reached for comment, his former monastery only referred to Josh as “the nicest man to ever be exiled since Marlon Brando.” Josh joined the Stones Throw family when owner/brewer Tony watched him win 8 matchups in a row at Bellingham’s Tuesday Night Wrestling Smackdown, with many of those wins coming while Josh was wrasslin’ in a weight class above his own - and no one in town can clean a keg better. Josh also perfectly brews our Ginger Ale every week. Please tip this one generously, as his gym membership depends on it and nobody wants to see what happens when Marc misses abs day. 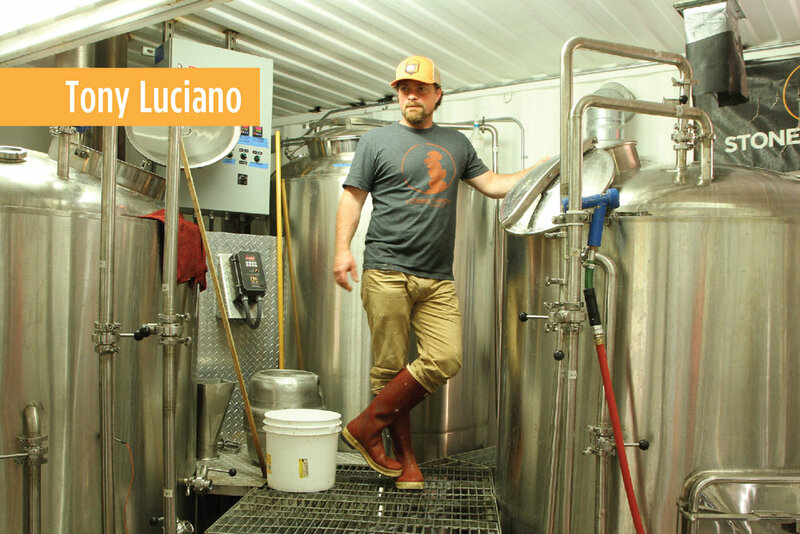 He wore his Sea Captain hat during his interview, but we nixed that - you’re welcome. 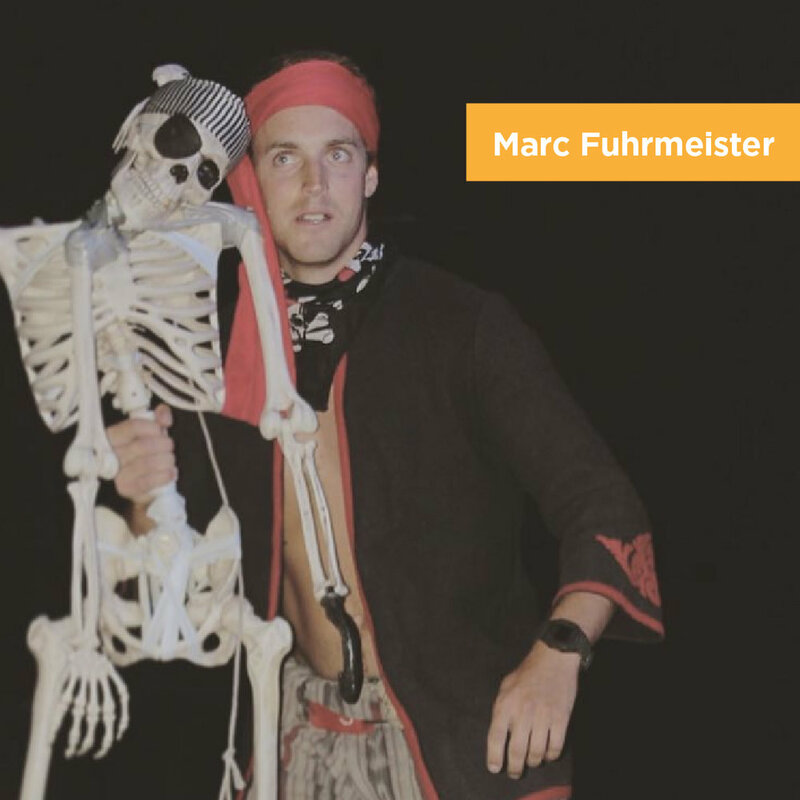 Hired as a “poor man’s Brian,” Marc is well-known for his record-breaking string of appearances on the “Kook Slams” Instagram feed. Open up a 2009 Squalicum High School yearbook and under a fashionable young Marc Fuhrmeister you will read the senior quote: “The worst thing about parallel parking is the witness.” So if you appear to make him nervous as he pours you a beer, please, play dead and everything will be okay.